There are so many things pregnant women worry about: staying pregnant, carrying the baby to full term, morning sickness, the baby developing normally, headaches, leg pain and if their labor will be safe and (hopefully) easy. "...it is commonly known that in the third trimester of pregnancy unrelated back pain is one of the prices that is paid for the prepetuation of the race. I have learned from personal experience that general (chiropractic) manipulations of backs in this particular condition has given these women a great deal of physical relief and has permitted them to go on to term and deliver without having to be bedfast during that later term of this pregnancy..or having to be hospitalized for traction, heat, support and all the rest of it." Chiropractic care is especially needed during pregnancy because of the many physical and chemical changes the women's body is going through. Not only is her center of gravity changing because of the added physical weight she is carrying, but her spinal structure becomes more flexible due to hormonal changes which relax the ligaments in the pelvis, preparing them for stretching during childbirth. 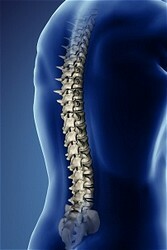 In an already unstable spine, that could aggravate spinal problems. On a regular basis we co-treat pregnant women with some of the best obstetricians/gynecologists in all of Phoenix and have found that patients have been very satisfied with this working relationship. Within our office we strive to obtain the utmost in comfort for our patients. That is why we have a chiropractic table that is specifically designed for the sole purpose of treating pregnat women. 1. Stein, K. The value of chiropractic care in cases of pregnancy. The ACA Journal of Chiropractic, July 1964, p. 19. 2. Reynolds, J.P. What is the role of osteopathic manipulative therapy in obstetric care? For normal patients? For patients with problems (e.g., toxemia of pregnancy)? Journal of the AOA, 1974, 74.